The latest Newsweek LEGO magazine will officially be released on July 17 at onnewsstandsnow.com. 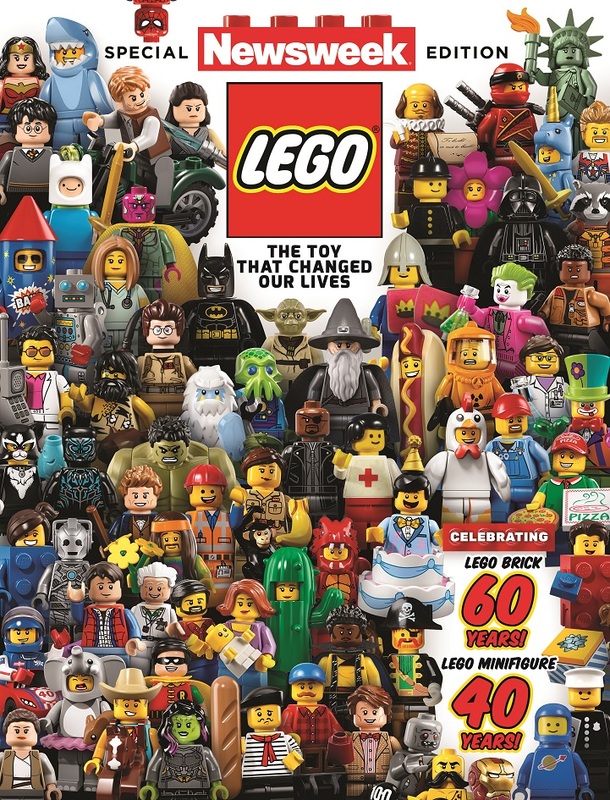 This magazine was created in celebration of the 60th anniversary of the LEGO Brick and the 40th anniversary of the Minifigure. The magazine contains 100 pages and it starts off with various LEGO creations before the table of contents is introduced. It goes through the history of LEGO and how a LEGO Brick is manufactured (the very foundation of LEGO). Moving on, it talks about the minifigure, another important element in LEGO. Various LEGO set models and older sets are looked into including LEGO Ideas. There’s also a look into popular lines such as LEGO Architecture, LEGO Movie and LEGO Star Wars. Many of the sets that are looked into provides a brief description of the set. There’s more to the magazine then mentioned above. Overall, its a nice LEGO magazine to browse over when you have time. Thanks to Courtney for sending Toys N Bricks a complimentary digital copy for review.